Johnathan Thurston launches his autobiography at Suncorp Stadium. 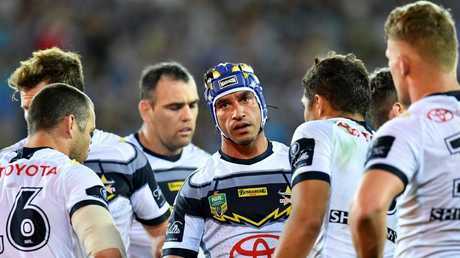 JOHNATHAN Thurston has revealed that he seriously considered a switch to the Broncos in 2012. Speaking on Tuesday at the launch of his autobiography, Thurston opened up on the approach to join North Queensland's arch rivals Brisbane. "In 2012 during my contract negotiations, I did have a meeting with the Broncos to come back to Brisbane," Thurston admitted. "Obviously I had a lot of family there and I grew up here at Sunnybank Hill, so I love the city. "For me I went through that process whenever contract negotiations came up, but I still had a burning desire to bring a title to Townsville, but I gave it some serious thought." The irony of the moment was not lost on Thurston, after the club showed little interest to champion halfback in his early years in the game. The Cowboys' legend admitted he considered walking away from the game after the Broncos consistently overlooked him as a teenager. "I never had any feedback from the Broncos when I was young," Thurston said. "I was never on their radar. They were never interested. There were other players through our age group that they were interested in ahead of me. "One thing is for sure, Thurston is content with his decision to retire despite going out after a tough year at the Cowboys. Johnathan Thurston nearly walked away from rugby league as a teenager. "I'm very content with what I've done in rugby league," Thurston said. "While this year didn't go to plan on the field, the amount of support I received from the fans and the opposing clubs made this year the most memorable year I've had in my career. "I really enjoyed that part of it. "It was a tough year on the field, so being able to do the book took some of the tough times away and I could think about the book and not be kicking stones." 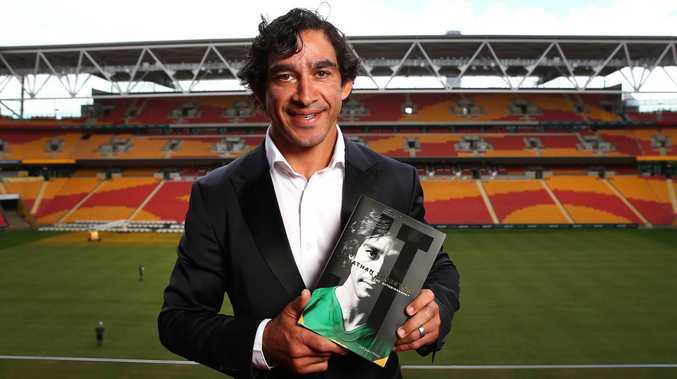 It was fitting that Thurston launched his autobiography at Suncorp Stadium on Tuesday, the scene of some of his greatest triumphs. "Some of my best memories on the footy field have been at this stadium in the Maroon jersey and giving it to the Blues," Thurston said. "It is very fitting that I can have the book launch here. "Some of my best memories are playing on that paddock for the Maroons, so it is something that I'm really proud of." Thurston is confident that the Cowboys are in good hands, despite his retirement and a disappointing 13th place finish in 2018. "The club is in really good shape for next year," Thurston said. "We will get Morgo (Michael Morgan) back and Benny Barba we all know what he can do on the footy field. "I think he will fit into our structures really well and I don't htoink the boys will be having a year like they did last year. "Having Barba at fullback, he has a lot of speed and he can change the game in the blink of an eye and that's what we lacked throughout this year, so hopefully he can score some tries for us." Thurston's autobiography will be on sale on October 18.